Experience our products in action. Explore our new interactive app. For an optimal user experience, we recommend viewing on tablet or desktop computers. Systems that scale to increasing demands often make sacrifices at some point on the spectrum of solutions. But not ours. Mueller Systems solves countless challenges facing the municipalities and others involved in water management. 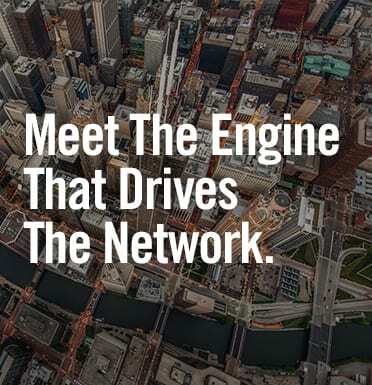 Simply put, Mueller Systems is Where Intelligence Meets Infrastructure®. Grow your capabilities without replacing your system. 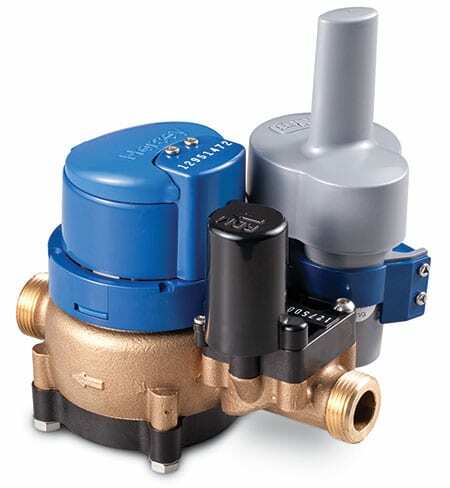 The Mi.Net® system links meters, distribution sensors and control devices in an efficient wireless network for real-time access. This smart, migratable solution provides the ultimate in flexibility and scalability, allowing you to cost-effectively add advanced capabilities to fixed networks or drive-by solutions, without replacing the entire system. 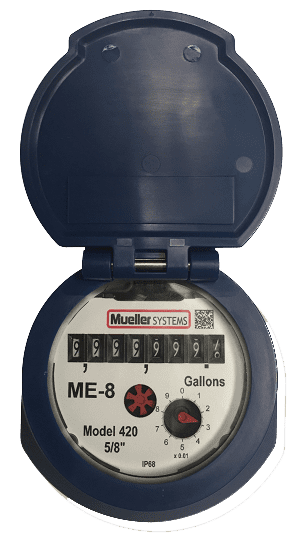 Now available for use on all current Mueller Systems positive displacement meters in 5/8” through 2” sizes, the ME-8 utilizes heat treated tempered, glass lens and corrosion resistant copper can to house the register light tubes, electronics, self-lubricating gearing, and drive magnet. The register delivers extraordinary functionality and value when paired with the latest metrology and AMR/AMI solutions available from Mueller Systems. Protect your employees, lower labor and operational costs, reduce your carbon footprint and shorten wait times for better customer service. It’s all within you grasp when you deploy the Mueller Systems’ 420 RDM (Remote Disconnect Meter). 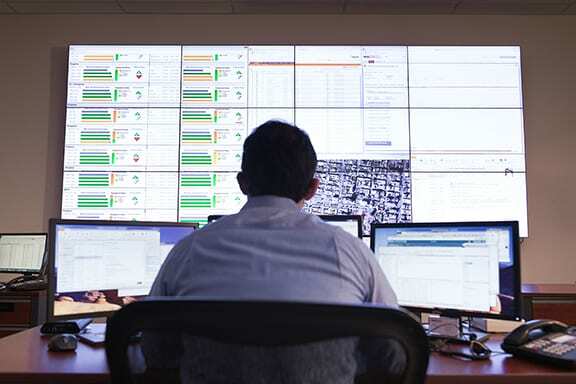 Mueller Systems’ Network Operations Center (NOC) offers round-the-clock system monitoring for its customers across North America. The NOC is staffed 24 hours a day, every day, by a team of highly skilled analysts, who use Mueller-developed tools to access customers’ network and data. If an anomaly is detected, the customer is alerted and can assess the issue immediately — before it becomes a problem.